St. Baldrick’s 2018 Holiday Gift Guide: Gifts That Give Kids Hope! The holiday season is about giving – and what better gift for your loved ones than something that helps a great cause, like taking childhood back from cancer. Not only are the items below awesome gift ideas, but a portion of each sale goes to the St. Baldrick’s Foundation. That means every item sold helps fund lifesaving research and clinical trials that can find new and better treatments for kids with cancer. I was recently invited to serve as a patient family advocate for the St. Baldrick’s / Stand Up to Cancer Pediatric Cancer Dream Team representing the National Cancer Institute. If you’re not familiar with the Dream Team and what they’re doing, it’s worth taking a few minutes to read up on the project. In short, it’s a multi-institutional effort to accelerate cures for childhood cancer by sharing the skill, knowledge and unique resources of 8 top-notch research institutions. Carlos Sandi with his son, Honored Kid and Ambassador Phineas. 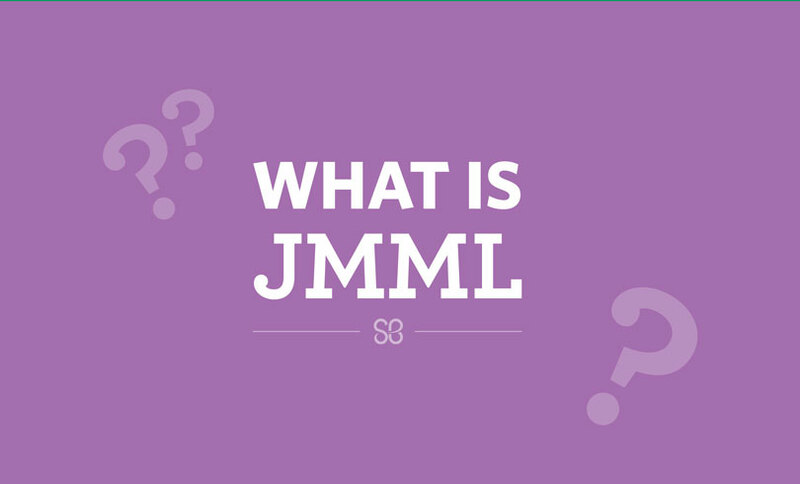 What Is Juvenile Myelomonocytic Leukemia (JMML)? Dr. Elliot Stieglitz is a St. Baldrick’s Fellow at the University of California, San Francisco. He’s researching ways to help kids with JMML who don’t respond to standard treatment. He explains JMML symptoms, treatment options, and how your support is moving research forward. Juvenile myelomonocytic leukemia (JMML) is a type of blood cancer that affects young children. 2017 was a big year, full of breakthroughs, incredible stories and some pretty amazing achievements in the childhood cancer world. 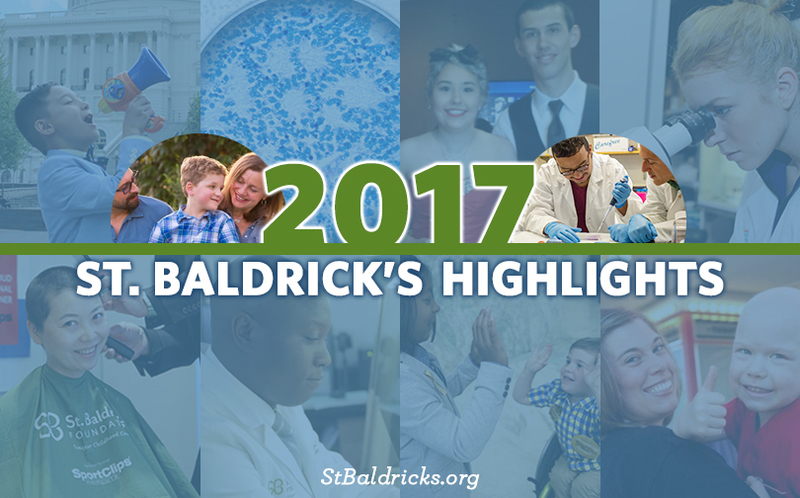 Join us as we reflect on St. Baldrick’s top 10 highlights of the past year — and make sure you give yourself a pat on the back, because much of this was possible because of YOU! Usually, we pick one international winner of the Robert J. Arceci Innovation Award, but what happens when there are two equally deserving researchers with big ideas and big hearts for kids with cancer? Read on to find out! 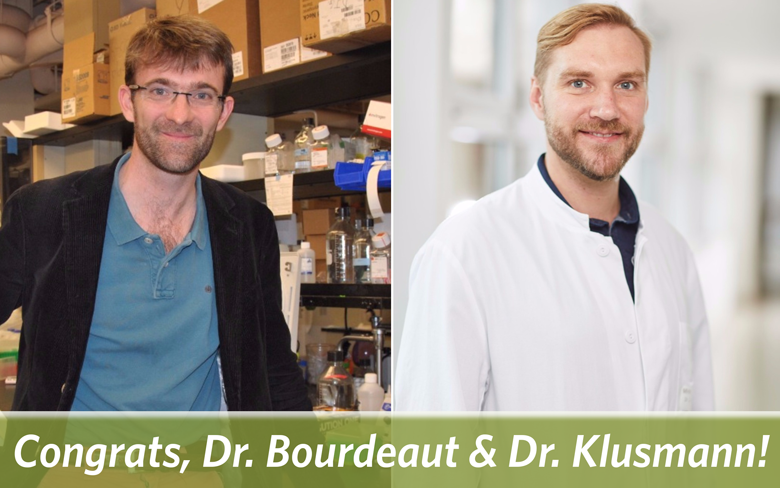 After being nominated for the International Robert J. Arceci Innovation Award, (left) Dr. Franck Bourdeaut and (right) Dr. Jan-Henning Klusmann were both selected by a committee of experts and are being presented with the award today at the annual conference for the International Society of Paediatric Oncology. Dr. Robert Arceci was a passionate innovator who dreamed big. He was a pioneer who knew that kids with cancer deserve better than what doctors can offer them and that breakthroughs are born from taking risks. That’s why the international winner of the award established in his memory – the Robert J. Arceci Innovation Award – is given the resources and the freedom to follow their curiosity, pioneering spirit, and their passion for kids’ cancer research, wherever it leads. Except this year, it’s winners of the Robert J. Arceci Innovation Award! 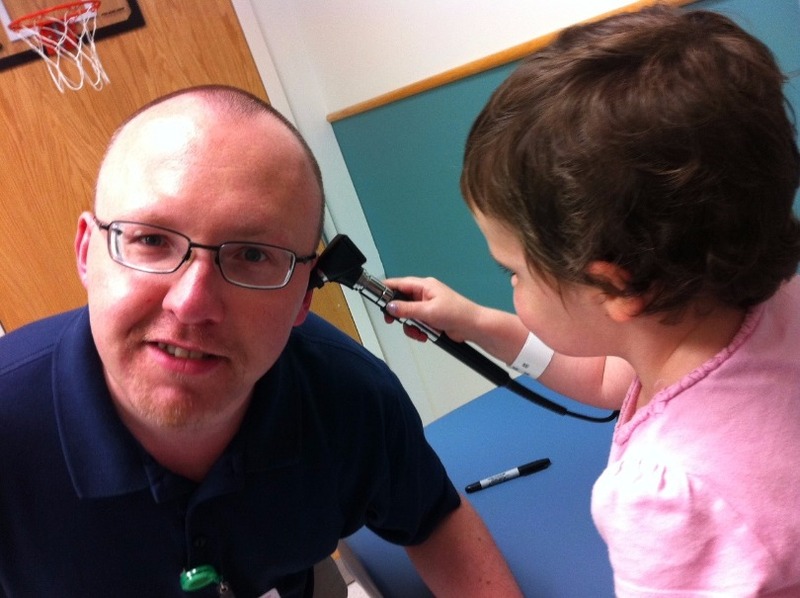 St. Baldrick’s Scholar Dr. Grzegorz Nalepa amuses a young patient by making her the doctor, instead of him. For St. Baldrick’s Scholar Dr. Grzegorz Nalepa, childhood cancer treatment can’t be one-size-fits-all. To be successful, it needs to be personal. That’s why this physician-scientist studies what makes everyone unique, including kids with cancer – genes. With support from St. Baldrick’s and a deep passion for the field of genomics, Dr. Nalepa is studying how the genetic changes, or mutations, present in kids with leukemia can be exploited to create targeted therapies against that cancer, with few side effects. St. Baldrick’s Scholar Dr. David Barrett gives us an inside look at immunotherapy, and we meet the first pediatric patient to ever receive this new cancer treatment. 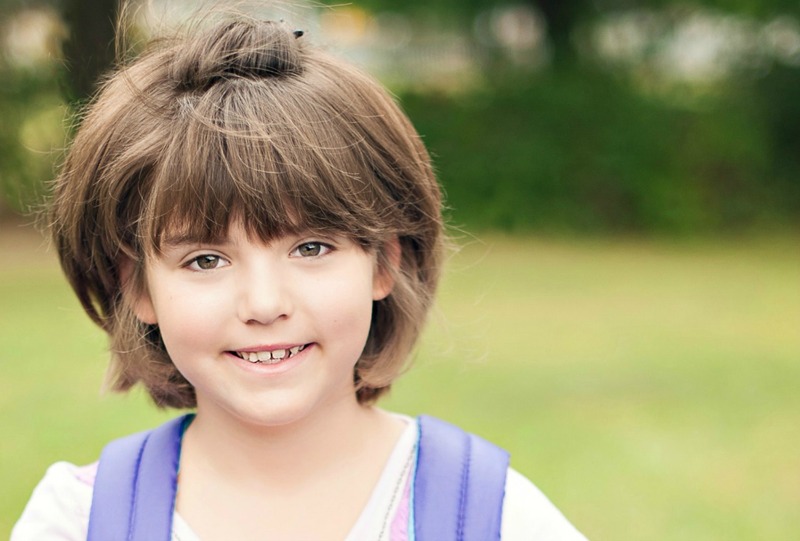 Emily Whitehead, the first pediatric patient to be treated with immunotherapy, 18 months post-treatment and starting third grade. For most of us, our immune systems fight off disease every day. A healthy immune system can even fight off life-threatening diseases like cancer. And when we do get sick, a healthy immune system attacks sickness and help us get back to feeling like ourselves again. It is a different story for kids with cancer. A child with cancer has a suppressed immune system. It’s as if a blindfold has been pulled down, and the body is unable to target invasive cells. You might say the immune system is asleep. What if doctors could wake up a sleeping immune system? When people say good things come in small packages, they must be talking about Honored Kid Gabriella. 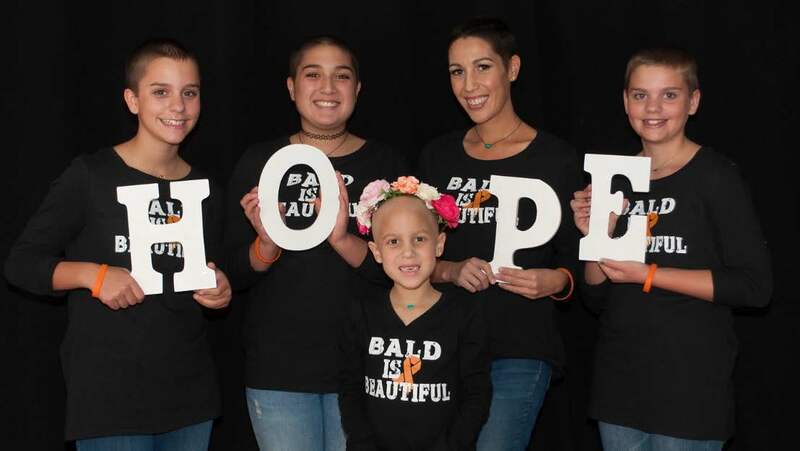 Read on to find out more about this pint-sized inspiration and how her family is showing their love not only for her, but also for other kids with cancer. Gabriella with her sisters and mom, Jennifer. From left to right: Sophia, Adriana, Gabriella, Jennifer, and Sabella. There’s something very special about Gabriella. Behind her contagious laugh and love for cracking jokes is deep compassion for others far beyond her seven years. This gift gives Gabriella the ability to inspire and touch the hearts of all who know her. 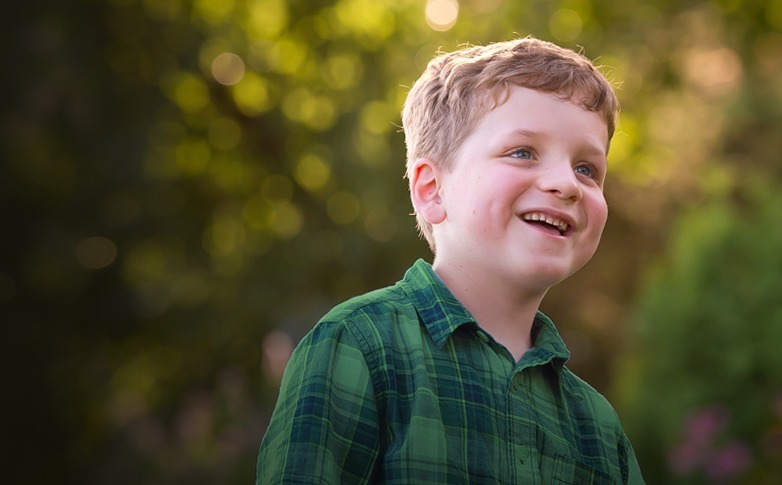 From CAR T cell therapy in May to a bone marrow transplant in June, over the past few weeks we’ve been following the tremendous journey of Honored Kid Zach Swart. Now we bring you another angle — a closer look at the St. Baldrick’s-funded research that has changed Zach’s life. 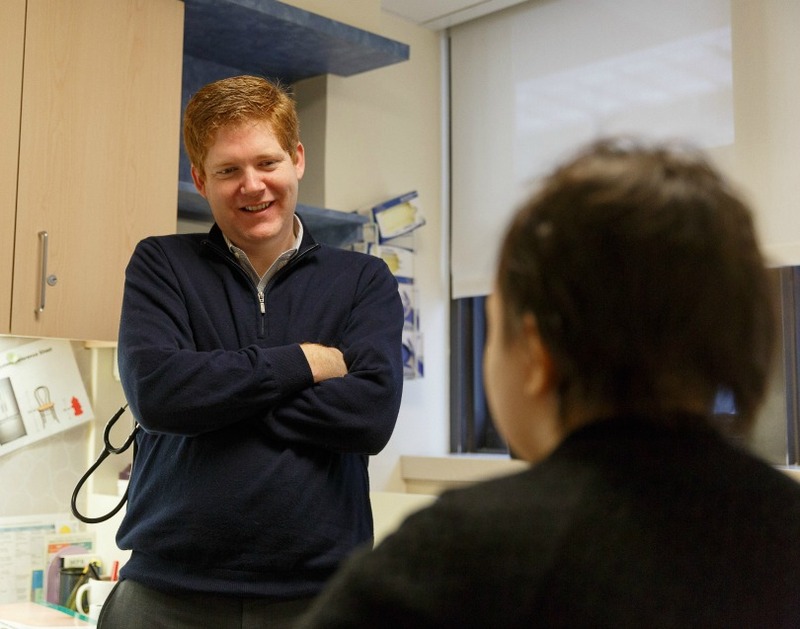 St. Baldrick’s researcher Dr. Kevin Curran meets with a patient at Memorial Sloan Kettering Cancer Center. A couple months ago, Zach Swart went through yet another medical procedure; one more to add to an already substantial history of biopsies and blood draws. But this procedure was different than a typical needle poke. 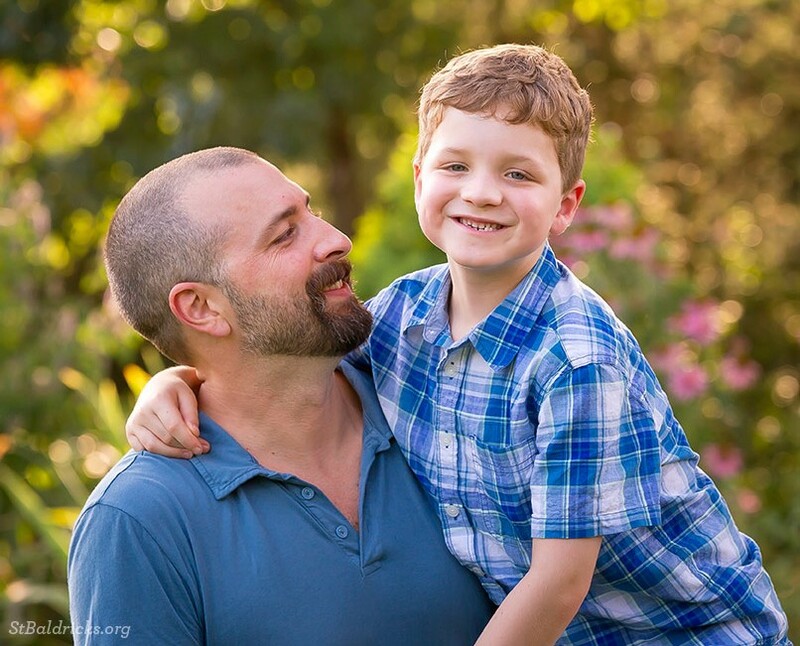 “Our son would not be with us today if it weren’t for St. Baldrick’s,” says Phineas’ dad, Carlos. Read on to see how research saved the little boy’s life. On a mountain bike ride with a friend, 9-year-old Phineas was sailing along when he decided to take a risk and pedal over a bridge not meant for bicycle traffic. He wiped out in a big way. But without so much as a single tear, he picked himself up, dusted himself off, and got back on the bike. Compared to what this boy had been through two years before, that was nothing.